The Gospel Hummingbirds are synonymous with tight harmony, creating outstanding inspirational music with soulful performances. They blend contemporary and traditional gospel quartet music with urban rhythm and blues. For the past couple decades, they have performed at religious gatherings, nightclubs, rock concerts and blues festivals, and they've recorded five albums. Founded by Joe Thomas Sr. in the 1960s, the Oakland-based group's line-up now includes Clearance Nichols, James Gibson Jr., John "Jubu" Smith, Gerald B. Dayce, Charles Holland, Eric "Pic Funk" Smith, Ron Smith and Carl Wheeler. 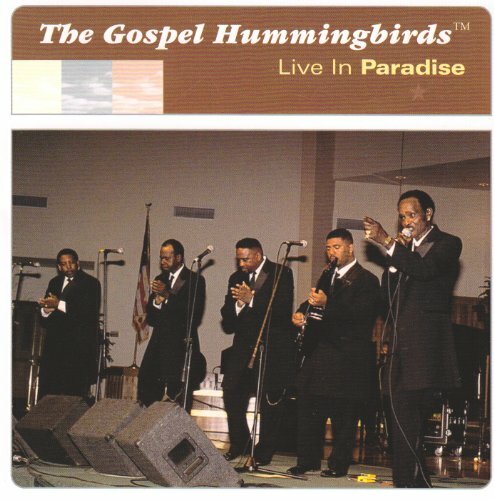 This 16 track CD was recorded live at the Paradise Alliance Church in Paradise, California. If you have any questions about this product by Gospel Hummingbirds, contact us by completing and submitting the form below. If you are looking for a specif part number, please include it with your message.